Chic Stylish & Unique. Dog friendly too! 4 star Luxury Hotel Ox Pasture Hall Country House Hotel is stunningly located in 17 acres of its own landscaped gardens and grounds, nestled amongst the meadows and woodlands. 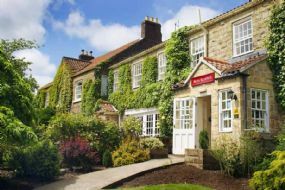 The Hotel is a fabulous pet friendly country house hotel located in the North Yorkshire Moors National Park and is only 2-miles from the seaside resort of Scarborough, with its many beaches and attractions to take your pets or dogs. This smart luxury country house hotel offers a relaxed and stylish ambience, luxury accommodation and first class service. Here you will discover extreme comfort, the fruits of a thoughtful kitchen and a beautiful setting, which is second to none. 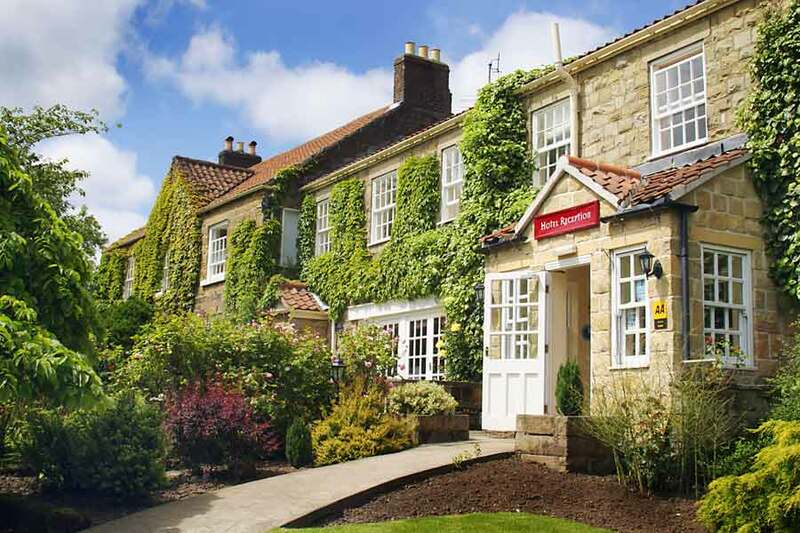 Ox Pasture Hall is very popular with dog and pet owners and regarded as one of the best dog friendly hotels in Yorkshire. The stunning North Yorkshire location provides the perfect base for a dog or pet friendly holiday. The hotels vast grounds gives you the opportunity to walk and explore with your dog, without even leaving the hotel. The North Yorkshire Moors is a wonderful part of Yorkshire, which is overflowing with tracks and bridleways to walk with your dog and view the spectacular scenery. Dining in the Courtyard Restaurant is an experience to savour and well worth a visit. As the only restaurant in the Scarborough area and on the Yorkshire coast to be awarded 2-rosettes for culinary excellence, you won't be disappointed with the exceptional food on offer. You can even dine with your dog in the Bistro and bar areas, from the restaurant menu. Here you can enjoy a flickering log fire, superb food, fine wines in one of Britain's most wonderful settings, which is the perfect luxury treat, for that very special relaxing or romantic break. The first choice, when you are looking for exceptional food, first class service and an unforgettable North Yorkshire location. Ox Pasture Hall is one of today's new breed of luxury country house hotel, something different, fresh, very romantic, yet oozing rustic style and charm. A warm and welcoming country house retreat where you will be looked after from the moment you arrive, until the time comes to tear yourself away. As one of Yorkshire's finest luxury hotels, we are confident you will enjoy your stay. Local Area: Scarborough seaside resort North York Moors National Park. Facilities - Linens provided - off-road parking - small children welcome - disabled accessible - Air con/fans, Dvd, WiFi, fax machine, phone, Cable/Satellite, Open Fire, TV, washer dryer, off, Secure Garden. outdoors more than 1 acre . Payment by visa, mastercard, Debit card, Cash.